The science fiction anthology The Twilight Zone has returned to television, technically CBS All Access' streaming service. Originally aired in 1959, The Twilight Zone has been revived twice, and this is the third attempt to recreate the magic of the original series. We'll be reviewing the first season, starting with the pilot, "The Comedian." You'd think the show would start with its best episode. If "The Comedian" is the best the show has to offer, it's in trouble. 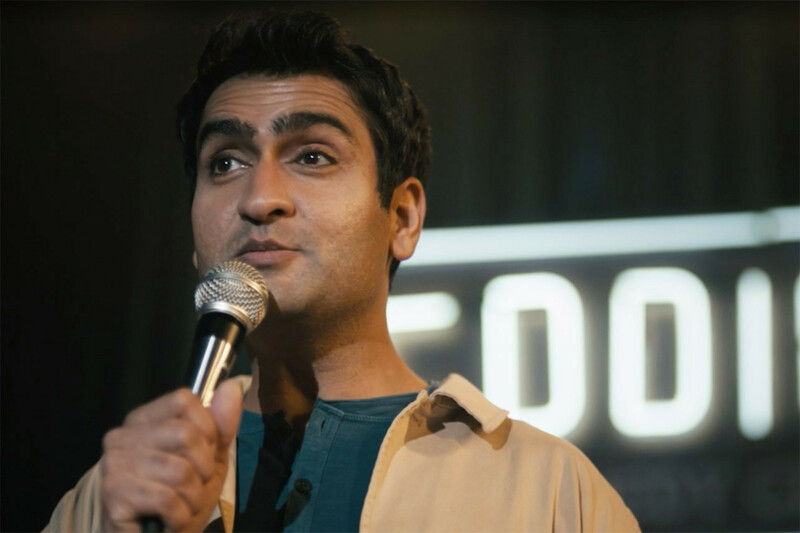 In "The Comedian," we meet failing comedian Samir Wassan (Kumail Nanjiani) who does political humor that bombs on stage. When he meets legendary comic JC Wheeler (Tracy Morgan), he gets some advice: put himself out there. Give the audience his life. But once he does, Wheeler warns, he'll never get it back. Samir follows the advice and starts telling jokes about people in his life, including his dog and his nephew, and gets funnier. But of course, this is the Twilight Zone, so there's a twist. Whenever he mentions someone's name, he gets huge laughs but that person disappears. The problem with this episode is that you know exactly where it's going from the first five minutes, and it doesn't really give you any surprises. Yes, we're gonna see Wassan struggle with the fact that he's making people vanish. He decides to use his new power for good by talking about people he hates, making them disappear. But, uh-oh, he starts changing the past and making his life worse! It's a story we've seen a thousand times. In fact, The Butterfly Effect and Death Note immediately spring to mind. It's also not a very relatable story. Yes, comedians are nodding their heads, and saying how they've been there, mining their personal lives for laughs on stage while alienating loved ones. But non-comedians are just watching an episode revolving around a comedy club set over and over again. Worse, the stand-up comedy bits aren't even that funny. Samir seems to have a power over the audience to make them laugh just by mentioning names, which boils down in the end to him literally just rattling off a list of names while the audience howls. We're sitting there watching him say unfunny things and have it treated as funny. Considering Nanjiani is a genuinely funny comic, there could have been some real jokes to watch. Then there's Samir Wassan himself. Twilight Zone has always been about morality plays, and Samir's struggle is about his desire for fame over his concern for his loved ones. At least, that's what we're told in the end. That's not what plays out in the story. For the most part, Samir is a very likable guy who tries to make the world better. But in the finale, we're told Samir is selfish and cruel, sacrificing his loved ones in his quest for fame. If he had been deliberately targeting friends and family, that would have come across, but it didn't. I should mention here that the acting and direction is top-notch. The whole episode has a dark and moody feel. Kumail Nanjiani is great as the desperate comic with a heart of gold, and Morgan is fantastically creepy as the mysterious Wheeler. The minor parts of Samir's long-suffering girlfriend (Amara Karan) and comedic rival Didi (Diarra Kilpatrick) are also scene-stealers. We should also mention that the episode is cast mostly with minorities, making the show a triumph for producer Jordan Peele's quest for diversity in science fiction and horror. Bottom Line: "The Comedian" is a very mediocre and unoriginal story, and it's hard to imagine it's the story that fans of Twilight Zone have waited decades to be told. Twilight Zone needs to up its game. Want to check out the rest of the series for yourself? You can sign up for a free trial at CBS All Access. What do you think of "The Comedian?" Let us know in the comments below!